We can supply all your tyre needs from a wheel barrow tyre to a high speed semi slick competition tyre! We stock all popular sizes and are very competitive on our prices. 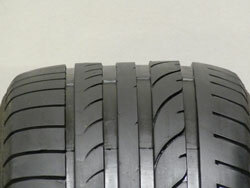 A large stock of part worn tyres is also available. If the tyre is repairable and still legal we can repair it. We also offer a wheel collection service locally for all the new cars with no spare wheel. We will collect your punctured wheel and fetch it back to our workshop to repair or replace and then bring it back to you to fit. We offer an in house tracking service for all models £20.00 + VAT and Wheel Balancing done to perfection from as little as £3.00 + VAT per wheel. Want a quote? Give us a ring or email.